For many of us, sunglasses aren't just a way to deflect glare; they can often serve as a form of camouflage, a way to stay incognito, even invisible. 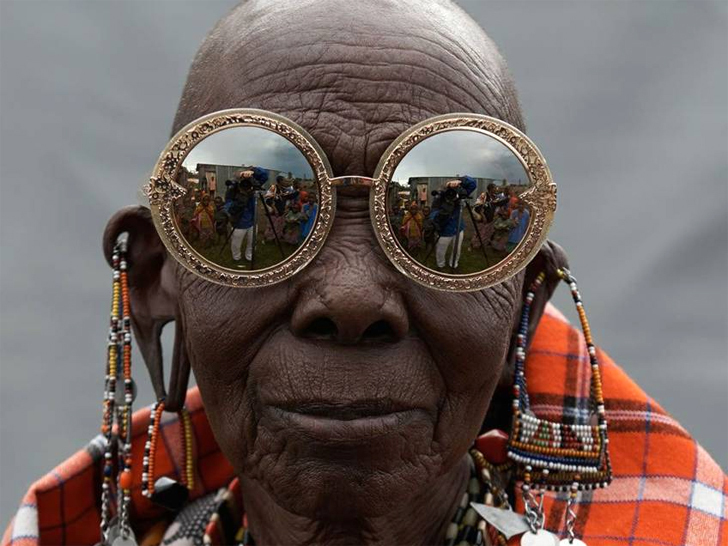 New Zealand designer Karen Walker decided to counter that canard, however, by using her shades to draw, rather than, divert attention. For "Visible," the campaign lensman Derek Henderson shot for her Spring 2013 collection, Walker didn't just employ the talents of artisans in Kenya, she had them model the looks, too. 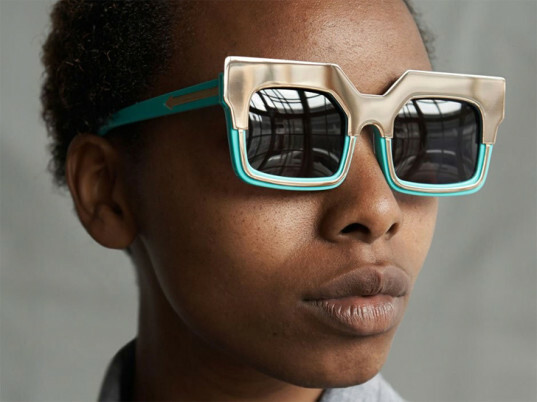 Partnering with the United Nations–endorsed Ethical Fashion Initiative, whose motto "Not charity, just work" seeks to promote sustainable development over aid, Walker tasked the African nation's finest micro-producers, designers, and craftspeople to produce the screen-printed pouches that will accompany every Karen Walker eyewear purchase from the collection. But Walker kicked it up a notch, turning the camera on the machinists, cutters, tailors, production managers, and metal workers involved in the collection, as well as the Maasai crafters behind some of the more intricate beadwork seen on the pouches. Walker turned the camera on the machinists, cutters, tailors, production managers, and metal workers involved in the collection. Walker says she plans to further her relationship with Ethical Fashion Initiative. “We’re intending to continue our work with the EFI in 2014 and beyond and we’re looking forward to expanding our work with them into new areas,” she told Daily Life.